We waited up all night hoping, just hoping, for Travis Scott’s Astroworld to drop. With all the recent social media hype — and an end-production trip to Hawaii — we thought it would drop at any minute. 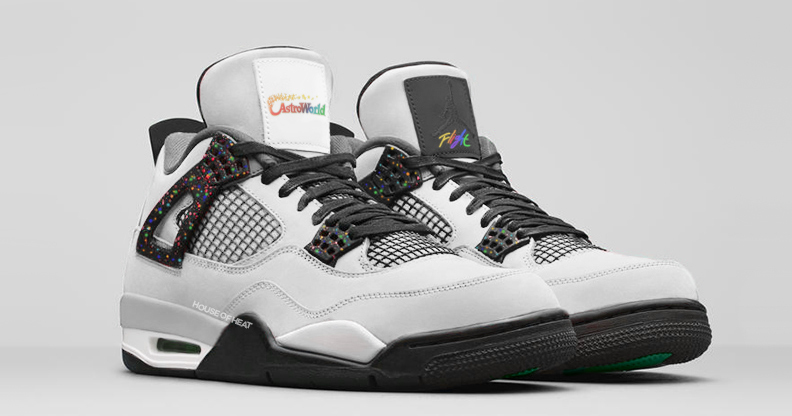 While I feel a little dejected and very tired, we did get some spare time to whip up a celebratory concept Cactus Jack Air Jordan 4, in anticipation for La Flame’s third studio album. The album, which is named after the now defunct Houston theme park, is yet to leak it’s album art, but we’re tipping it will include the park vintage gradient logo. We’ve taken those elements and included it onto a white suede based upper, multi-colored splatter pattern and gradient underfoot detailing. It’s finished of with colorful co-branding on the tongues. Please enjoy, while you wait just a little bit longer for Trav’s next banger.